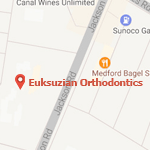 As your premier orthodontist in Medford and Moorestown, NJ, Dr. Sarkis Euksuzian strives to make your experience as comfortable and enjoyable as possible! 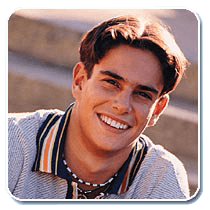 We combine effective orthodontic treatments with a friendly and knowledgeable team to bring you the best orthodontic care available in Marlton, Mt. Laurel, and the greater South Jersey area. Dr. Sarkis Euksuzian is an expert in the orthodontic field and has a wealth of experience when it comes to treatments like braces and Invisalign. As a result of this, he and our entire staff here at Euksuzian Orthodontics get quite a few questions from our patients. Read below to see the questions that are frequently asked of our Moorestown and Medford, NJ orthodontist! 2. Is it required that I be referred by my family dentist to schedule an appointment? 4. Will my child's teeth straighten out on their own as they grow? If you think you or your child would benefit from orthodontic treatment, simply call our office and we will be happy to schedule an appointment for you. When you call to schedule your appointment, our front office staff will request some very basic information concerning you and your child. You may also schedule an appointment from this site by selecting the “Schedule Appointment” page. 6. Is there a cost for the initial examination? No, there is no cost for the initial examination. We believe that the relationship established during a patient’s first visit is much more important than an “office visit” charge. Upon arriving, each patient and parent will meet our Treatment Coordinator. A brief but thorough exam will be completed by Dr. Sarkis Euksuzian. Necessary photographs and x-rays may be taken at this appointment or at a follow-up appointment to allow Dr. Sarkis Euksuzian to make a proper diagnosis. Building a comfortable and trusting relationship with Dr. Sarkis Euksuzian and his staff is a significant goal of our initial exam. 8. What will I learn from the initial examination? In addition to these, Dr. Sarkis Euksuzian will take the time to answer any other questions a patient or parent may have. 9. Will I have to have any teeth removed for braces? 10. How long will it take to complete treatment? Treatment time obviously depends on each patient’s specific orthodontic problem. In general, treatment times range from 12 to 30 months. An “average” time a person is in braces is approximately 24 months. 11. How much will braces cost? Are financing options available? How does my insurance work? It is impossible to give an exact cost for treatment until Dr. Sarkis Euksuzian has actually examined you or your child. The exact cost and financial options will be discussed at the initial examination. We have many financing options available to meet most needs and we will be happy to review them with you. We file insurance on the patient’s behalf, and also offer a cash courtesy for fees paid in full at the beginning of treatment. Proper orthodontic treatment to correct a problem is often less costly than the additional dental care required to treat the more serious problems that can develop in later years. Appointments are scheduled according to each individual patient’s needs. 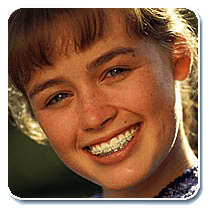 Most patients in braces will be seen every 4 to 6 weeks. If there are specific situations that require more or less frequent monitoring, appointments will be scheduled accordingly. We are very understanding of busy schedules and working parents’ desires to run errands while their child is at our office. On some occasions Dr. Sarkis Euksuzian may want to speak with parents when they return. Generally, braces do not “hurt.” After some visits, teeth may be sore for a few days. In these situations, pain medications such as Advil or Tylenol can be used to ease the discomfort. However, after most visits, patients do not feel any soreness at all! We often remind our patients, it does not have to hurt to work! Absolutely not! It is our belief that each patient should be provided with their own braces to achieve the very best orthodontic result possible. Dr. Sarkis Euksuzian will never use worn, used or recycled braces. Yes. We can recommend a mouth guard for all sports. Premade mouthguards are available upon request. 21. How often should I brush and floss my teeth while in braces? Patients should brush their teeth at least four times each day: after breakfast, lunch (or as soon as they get home from school), supper, and before going to bed. We will show each patient how to floss their teeth with braces on, and will also provide a prescription for a special fluoride toothpaste to help protect teeth. If something happens and your braces are causing pain or if something is broken, you should call our office. In most cases we can address these issues over the telephone. If an emergency appointment is needed, daily time is avaiable for timely attention. A surprising percentage of our patients are adults. Health, happiness and self-esteem are vitally important to adults. No patient is “too old” to wear braces! 29. Do we use recycled brackets? No, Dr. Sarkis Euksuzian only uses new brackets – Never recyled brackets. If any of the above points need clarification or you simply want to ask a question of your own, give one of our offices a call. 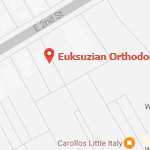 Our knowledgeable staff at Euksuzian Orthodontics will be happy to help you out. Additionally, if you are interested in beginning your journey towards a beautiful smile, schedule an appointment online today! We create beautiful smiles out of our offices located in Medford and Moorestown, NJ, and also serve surrounding areas such as Mt. Laurel, Mariton, and Mt. Holly, NJ.